Find an ethical hard money lender. The specific situation surrounding a specific borrower will change from person to person. Some people are simply looking to acquire a 30-year mortgage to purchase a home, a loan that will have smallish monthly payments and that they’ll pay back over the course of their lifetime. Other people want to take out large loans for a short period of time so that they can buy an apartment complex. Such a borrower knows that they’ll pay their loan back quickly because they’re going to be bringing in sizable income on a consistent basis because they’re going to be renting out each unit in their apartment. These two different types of situations require different loans, and thus there are different types of lenders out there to accommodate each unique borrower. One of the most common types of lender is what’s known as a hard money lender. These lenders are typically private individuals or companies who provide shorter duration loans than banks, and who provide loans to individuals or companies who wouldn’t be able to secure a similar loan from a bank or institutional lender. Hard money loans are loans that give sizable quantities of capital to individuals or companies who need them quickly, but they also come with different repayment methods. In general, though not always, hard money loans must be paid back more quickly than other types of loans. Thus, hard money lenders are more concerned with how much money the borrower is making and how they plan on making money off of the loan. In other words, hard money lenders want to know that the individual they’re lending the money to is going to be able to pay back their loan within six or twelve months. Thus, they’re less concerned with the borrowers credit score and more concerned with how they’re going to come up with that money in a short period of time. As you might imagine, there are plenty of hard money lenders out there who are more concerned with making money off of their borrowers than they are with creating loans that actually work for them. They might do a small amount of homework and ask some questions about how the borrower is going to pay back their loan, but they don’t do a deep dive into the borrower’s finances or their financial plan. When they fail to look deeply into the financial plan of the borrower a bad situation can arise whereby the borrower is unable to repay the loan in the short amount of time that is required. Thus, the loan goes into default and the borrower has to forfeit their property or assets to the lender. Fortunately, not all hard money lenders operate like this. There are hard money lenders out there with strong ethics, which essentially just means that they do a deep dive into the borrower’s finances and their plan to repay their loan, and then they only lend money to people who they strongly believe are going to be able to repay that loan in that short period of time. 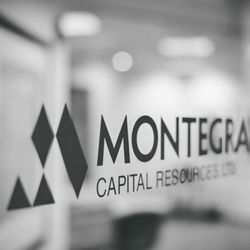 Montegra Capital Resources is a great example of a hard money lender with outstanding ethics, a near oxymoron in the industry.